When asked to describe the experience of riding a plus bike, words such as "confidence" and "stability" come up a lot. These words are normally seen as positive, but for some reason with plus bikes, people see those words and deduce something more like, "Plus bikes aren't real mountain bikes, they're kook machines for people who can't ride." They say things like, "If you could really ride, you'd already have confidence," and "There must be such a thing as too much traction, right?" To which I would respond with another question: Uh, what? Plus bikes are already being branded as great for entry-level riders. The problem with this is that nobody considers one's self to be entry-level. Or if they do, they won't be for long, so a plus bike isn't for them. They don't want to be identified as a rider that needs the so-called crutch of a plus bike, or they don't want to be stuck carrying the crutch around after they've learned to walk. This is stupid. More confidence is always good. There's no such thing as too much traction. Since when did these two things exclusively benefit beginners? Part of why people think plus bikes are just for beginners stems from claims that plus tires can't be ridden aggressively. This is partially true, because some of the tires that have come out so far will fall apart if you look at them hard. Others squirm too much. This is a fair point, however the plus size tire pool is growing fast, and there are already some impressive options that can in fact be ridden aggressively. One obstacle that might take some time for plus-size tires to roll over is that plus just looks different. People don't like different, and they feel compelled to offer gems, such as, "that thing must climb like crap," the word "must" clearly indicating homeslice hasn't ever ridden one. However, his unfounded hypothetical impression somehow spreads like wildfire online. Thanks, bro. Maybe shut up until you can offer actual information. Which, perhaps I should do right now, considering I'm over 300 words into a bike review without having mentioned the bike yet. If the photos hadn't given it away, you may not have guessed that the new Rocky Mountain Pipeline is a plus bike. When our photo editor found this out, he was less than excited. "Way to kill a legend," were his precise words. He hasn't come around to plus yet. To be fair, he only recently came around to 29ers. People used to say those were just for beginners too. Turns out, in the case of big wheels, more confidence and better traction benefitted fast people too. Could plus do the same? In the case of the Rocky Pipeline, yup. I'm not the quickest rider in the world, and I'd be the first to admit that over the past couple years, injuries and beer drinking have caused me to slow some. Still, I ride aggressively, and I would say that this reincarnated model deserves the legendary name it wears. On my local trails there are a few crux moves that always have me pucker just a bit, even after having ridden them countless times. They're sections that if I'm not on my game, I might not clear, or I might avoid altogether. There are maybe three or four such spots on the loop I commonly ride when testing bikes, and on my first outing with the Pipeline, I hit all of them without a hint of hesitation or doubt. It was perhaps more confidence than one should have on a bike they'd ridden for mere minutes. See what I did there? I created a situation in which too much confidence can exist. 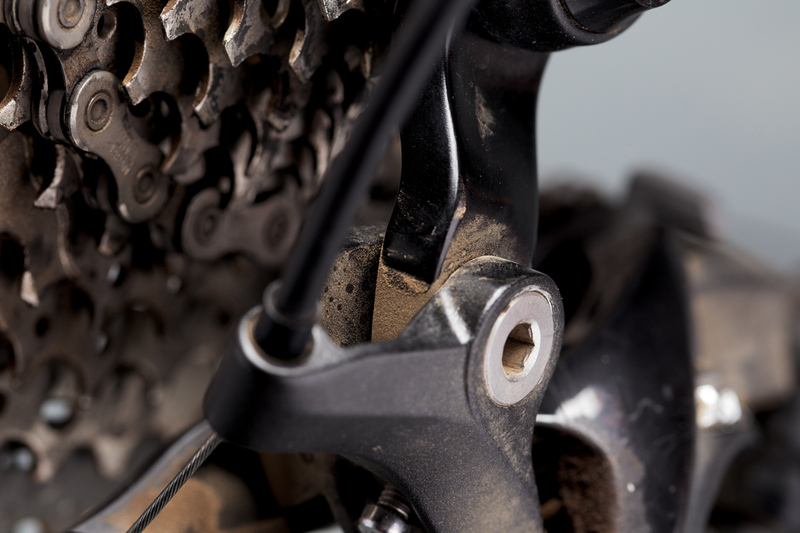 The Pipeline utilizes a Shimano direct-mount derailleur hanger. The Pipeline shares its front triangle, as well as the same rear wheel travel, with the Instinct, Rocky's 130-millimeter-travel 29er. Bolted to it is a new Boost 148 rear end with an incredible amount of clearance–enough, according to Rocky Mountain, to fit a 27.5 x 3.25-inch tire. 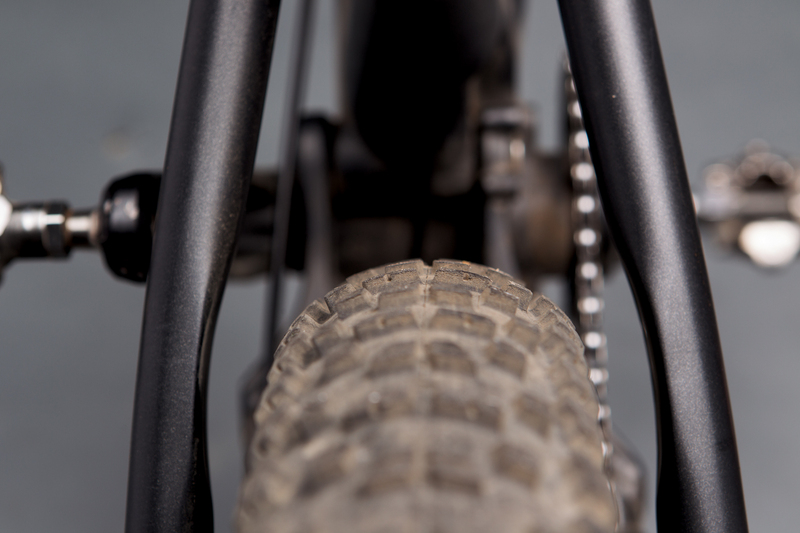 Up front, there's 150 millimeters of travel, which on the 770 MSL is provided by a Fox 34 Factory fork. The rippers in the crowd might now be thinking that the Fox 34 at this travel might not be stout enough. I personally have had no issue in that regard, but then again, I also find that a certain amount of compliance is required to allow the fork to track through terrain well. There most definitely is such a thing as too stiff, but that's a different story. I typically run size large frames, but because the Pipeline runs on the short side, I thought about stepping up to an XL. I'm glad I didn't. 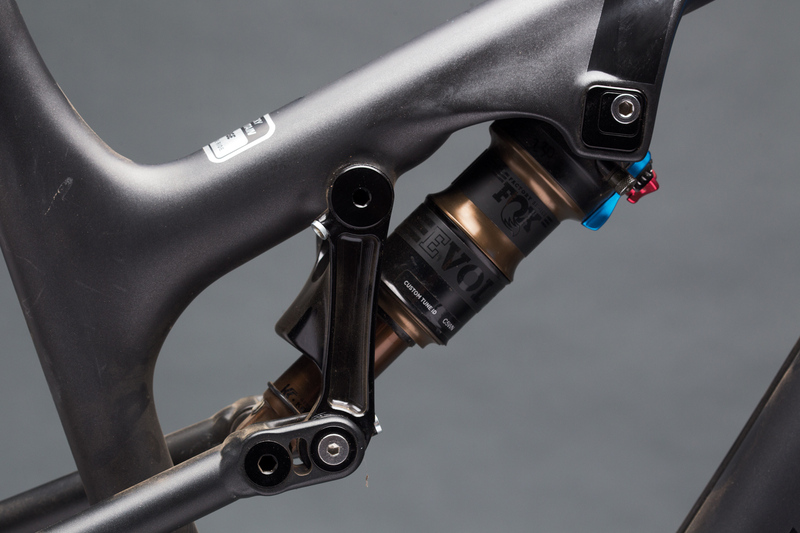 With the stock 50-millimeter stem, the front end felt nice and cozy, but not at all cramped. I felt at home on the bike, and began to wonder if, like with wide bars, long front centers are getting a little out of control. Not long ago, a 23.4-inch toptube would not have been considered to be short. Many bikes today are an inch longer in each size. I could definitely feel it, but it only served to allow quick handling despite the not always quick 2.8-inch tires–Maxxis Rekon+ 2.8-inch tires, to be specific. It's currently my favorite plus-size tire because it has great grip and decent durability at an impressively svelte 825 grams. I'm currently 180 pounds, and I've been running the Rekon+ at between 14.5 and 15.5psi, depending on conditions. That decimal is important. This is the somewhat annoying part of plus. 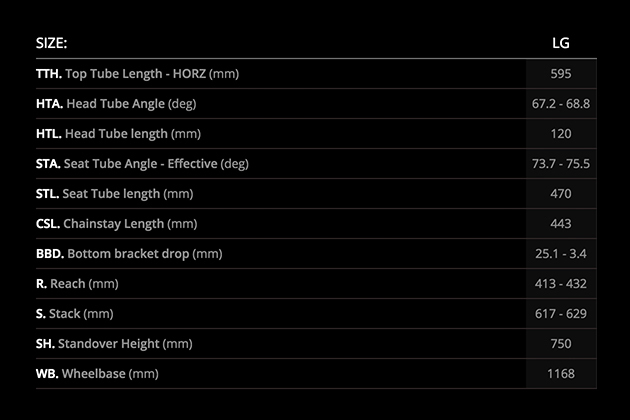 The ride characteristics vary greatly, even with fluctuations of just one psi. I now have to carry a digital pressure gauge all the time so I can always get to back to my happy place. Okay, maybe not a huge tradeoff for the insane traction and boosted confidence. Oh, and yes, it feels a tiny bit less quick on the climbs, but I don't care.